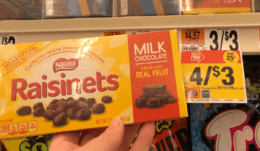 Starting 6/15 Stop & Shop, Giant, and Giant/Martin have another great instant savings deal! 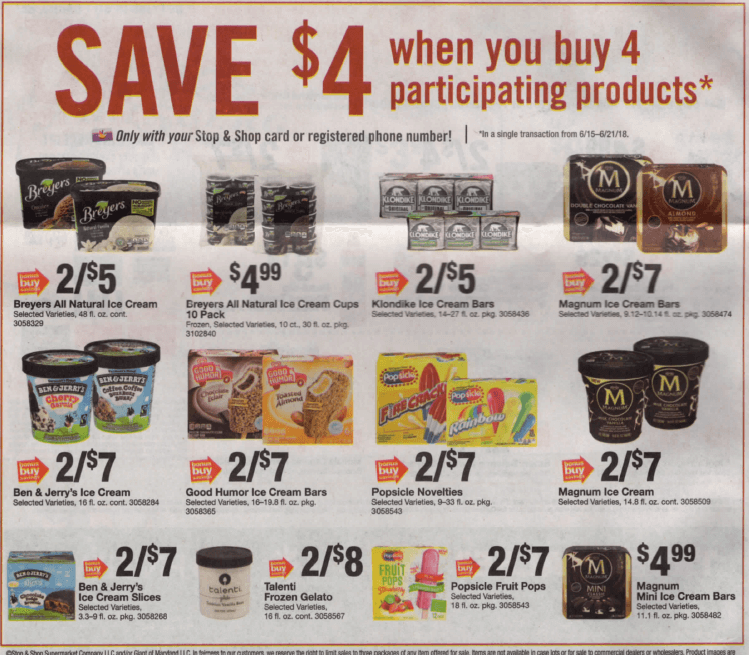 The deal is Buy 4 Participating Ice Cream/Novelties and save $4 Instantly! We can start with a nice easy deal of 2 Magnum Ice Cream Tubs priced at $3.50 each, and 2 of the Popsicle Fruit Pops priced at $3.50 each. We have a $1.50/1 Magnum 14.8oz tub (Limit 2), available from the 6/10 RMN insert available. While we don’t currently have any coupons available for the Popsicle Fruit Pops we do have a $1/1 Popsicle Fruit Pops for any variety, 12 ct. box. (Limit 5) (Various Stores), Ibotta Rebate available. After stacked offers pay just $1.25 each! Great Deal! Also included in the deal is Klondike Bars priced at $2.50 each. While we don’t currently have any coupons, there is a Catalina offer available. We can pick up 4 of the Klondike Bars priced at $2.50 each, receive our $4.00 instant savings and pay a total of $6.00, we’ll then receive a Catalina for $2.00 off your next order. Making the Klondike bars just $1.00 each! Awesome Deal! What could be better? Oh that’s right! 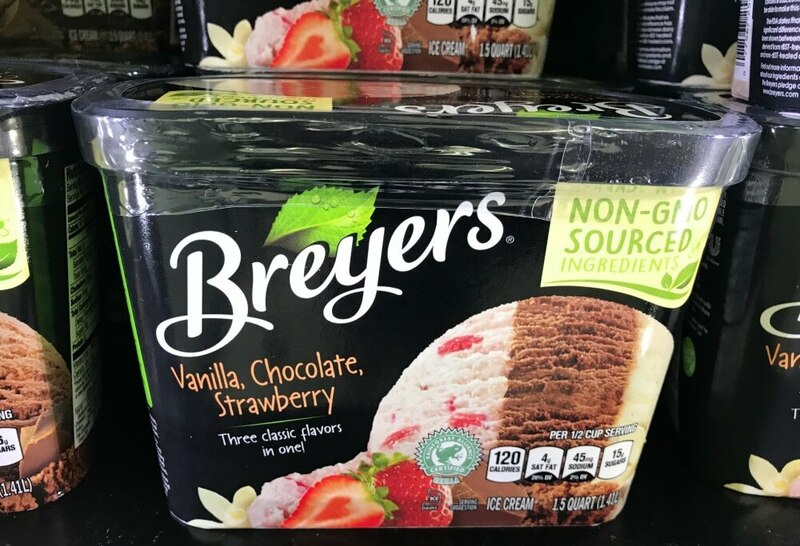 There’s another deal on the new Breyers Cookies or Candies Ice Creams, there also on sale for $2.50 – and guess what? Another Catalina offer! Just like the Klondike offer, you can score 4 cartons of the Breyers Ice Cream, and pay $6.00 after instant savings, and then score the $2 catalina making your final cost just $1.00 each! Woo Hoo! Note: as with all deals they can vary by region, so always check your circular/shelf pricing before checking out. as low as $1.25 each after stcked offers!